THE INSERTS made it into the Top-Ten-List of Kenny Kaos from the famous magazine MAXIMUM ROCKNROLL. This is some kinda knightly accolade. Respect. And here is the review. More – of course positive – reviews (Ox Fanzine, Blueprint-Fanzine) of „Komm her!“ added to the review section. THE INSERTS 7″ has been reviewed by Crazy United Online-Zine and got the school grade 2. Moving up is not exposed, haha. 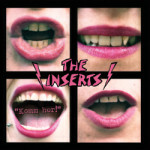 If you think about placing a record order at Green Hell, Soundflat, Flight 13, Punkdistro, X-Mist or Core Tex don’t forget to add your copy of THE INSERTS‘ „Komm her!“ 7inch. It’s available at all the named mailorders now. 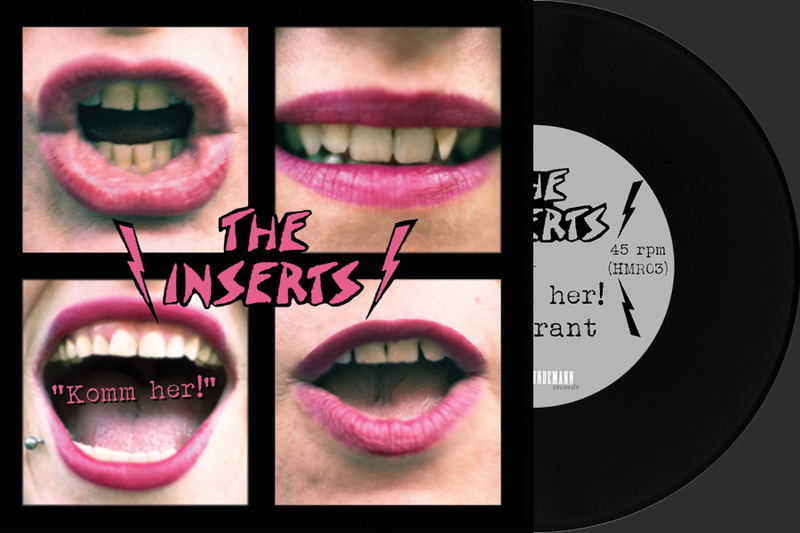 THE INSERTS 7″ has finally left the pressing plant and will be in stock end of the week. Now it’s up to you: order it! ORDER IT! Do it! ORDER IT!!!! Even if the THE INSERTS 7″ hasn’t been delivered from the pressing plant, the first review has been published. Martin Weber has reviewed the 7inch for the newest issue of Punkrock! Fanzine (#18) and he seems to be taken with it. Just read yourself in the review section (it’s in german language). Alright, I advertised in may already, that there’d be a new band signing to Hundemann Records. Now it’s almost november. SHAME ON ME. Anyway, I’m proud to let you know that THE INSERTS from Berlin finally joined the Hundemann Records family. Wuff wuff!!! Their debut 7inch – that is a blast actually – is in the pressing plant right now and will be available hopefully end of november. It’ll contain four songs and comes with download-code. Be prepared for the total 77punkrock/NDW holocaust!!! You can listen to two songs here already and pre-order your copy in the order section. It’s been a long time since my last posting. Sorry for that. I’m just outta money actually to start new releases, but hopefully there will be a new release of a great all girl 77-punkrock band from Berlin on Hundemann Records later this year. More to come soon, just stay tuned. By the way: You can find an all new review of NOTHINKs „Hidden State“ LP in the review section. Finally the famous RAZORCAKE magazine from Los Angeles reviewed the THE VON ERICH SUICIDE MISSION debut lp. And – once again – these guys like it, too. You can read the review here. The beat goes on: Next (positive) review of NOTHINKs „Hidden State“ LP: This time it was reviewed in the TRUST Fanzine # 155 (August/September 2012). You can read the review (in german language) here as usual. Hooray, another review of NOTHINKs „Hidden State“ LP: The famous Ox-Fanzine rated the record with 7 of 10 points. Thomas Eberhardt termed the record as a guaranteed hit for SAMIAM fans. You find the review (in german language) here. Don’t know if you heard the rumours already: Unfortunately NOTHINK split up a few weeks ago. What a pity! So their latest record „Hidden State“ is probably their last one. If you still want to get your copy, hurry up. This is a one-time-pressing. When it’s sold out, it’s gone. The guys from Flight 13 Mailorder (www.flight13.de) have added the NOTHINK LP „Hidden State“ to their distribution. Here’s what they say about the record – if you don’t understand german, just a short hint: they like the album :-). The Moloko+ Fanzine reviewed the NOTHINK record: Sir Paulchen rated „Hidden State“ with 7 of 10 points and descibed it as insider tip for rock/emo/grunge-aficionados. You can order the record here. What a surprise: The NOTHINK records arrived from the pressing plant today. The album ist looking as beautiful as it sounds. I’m going to start sending out the pre-orders tomorrow. If you haven’t ordered your copy of „Hidden State“ yet, hurry up: Only 400 copies have been made and when they are gone, they are gone. There will not be any repress. Taking orders here. By the way: For your outside listening pleasure the record has a download-code included. Just a short update on the upcoming release of the NOTHINK record „Hidden State“: Some problems in the pressing plant insolve a little delay in the release date. 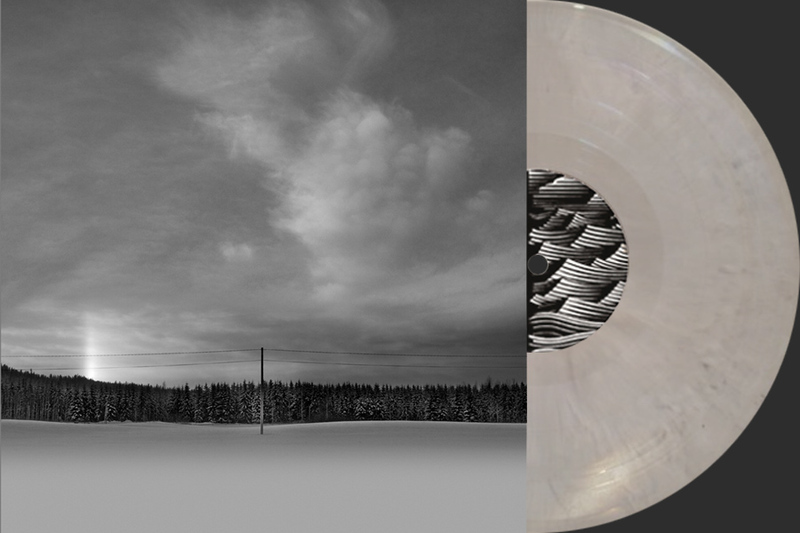 So, unfortunately the records will not arrive from the pressing plant before mid of may. You can still pre-order the record here. The THE VON ERICH SUICIDE MISSION lp made it on to rank #6 in the Soundcheck of the famous Ox-Fanzine – Joni Küper wrote a nice review about the record and made Mr Hundemann happy. You can read it here. A view reviews of the THE VON ERICH SUICIDE MISSION lp (Useless Fanzine, TRUST Fanzine) have been added to the reviews section. 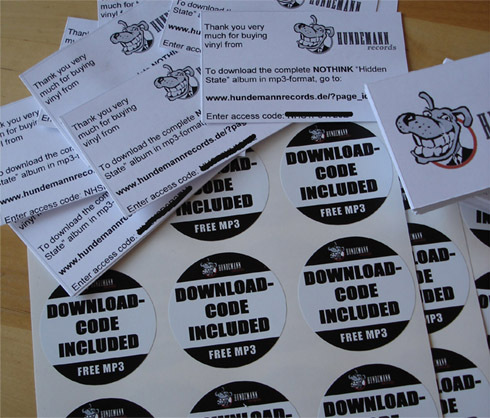 Just a short update on the upcoming NOTHINK record: „Hidden State“ is in the pressing plant right now and the stickers and download-cards are done already. It was a lot of work but worth it. Here’s the official video of the track „In A Row“, which will be part of the upcoming NOTHINK album „Hidden State“. Enjoy! By the way: You can pre-order the record here. To celebrate the good reviews, I just added another mp3 of THE VON ERICH SUICIDE MISSION to the site: „Nacho„, a killer track Glenn Danzig would have killed for in the early 80ies. You can listen to it here. In the march issue of ROCK HARD, the biggest and most important rock & metal magazine in germany, is another great review of the THE VON ERICH SUICIDE MISSION lp. Andreas Himmelstein rated it with 8 of 10 points. Read it here or die! The evil motors of marketing started running on high octane! CrazyUnited, the online-zine for modern underdogs, rated the THE VON ERICH SUICIDE MISSION lp with the grade 2+. The Moloko+ fanzine gave it 8 of 10 points. Sounds good to me. You can find links to the original reviews in the reviews section. I’ve added some more reviews to the reviews section. A short update for you, folks. The THE VON ERICH SUICIDE MISSION lp is available now in even more stores and mailorders: Flight 13 (Freiburg), Interpunk (USA), Core Tex (Berlin) & Punk Distro (Hannover) have joined the „Hundemann Records distribution family„. I’ve added another review to the reviews section as well. Although it’s friday, 13th, the first review of the THE VON ERICH SUICIDE MISSION lp came in. Ok, it’s not a real review, Soundflat Mailorder put the record online in their shop and Lutz wrote a pretty nice description for it. Worth a look. You can find it in the new reviews section. The THE VON ERICH SUICIDE MISSION lp is available at various mailorders and shops now (for example: Green Hell, Muenster; Wowsville Recordstore, Berlin; 25 Music, Hannover). Others (Flight 13, Freiburg; Soundflat, Solingen etc.) soon to come. The record will be available thru Interpunk as well soon. Happy new year everybody. The THE VON ERICH SUICIDE MISSION lp finally arrived from the pressing plant. Hooray!!! The record is in stock now. So get your asses up from the couch and place your orders! The test pressings for the THE VON ERICH SUICIDE MISSION lp arrived from the pressing plant today – sounding beautiful. Just another two or three weeks to go ‚till the records are ready for shipping. Stay tuned! I’ve just finished uploading the files for the THE VON ERICH SUICIDE MISSION lp to the pressing plant. Hope, everything will work out pretty good. Hooray, the logo is done. On Monday I got the final version and uploaded it to the website. Thanks alot to my designer Duniel (www.duniel.de), who did a great job! The first band has been signed! It’s THE VON ERICH SUICIDE MISSION, a side-project of Shane, the bassplayer of the famous GHETTO WAYS from Brooklyn, NY. Their superior debut album, that has been released in digital format about two years ago, will be available on vinyl for the first time ever on Hundemann Records in january 2012. Hundemann Records is a new recordlabel from Muenster, Germany, specialized on good old vinyl for the genres punkrock, garage & rock’n’roll. 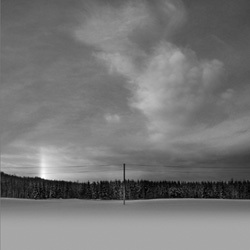 The first release is planned for January 2012. So stay tuned!